Sometimes you may want to make sure that all employees work at least one night shift per week. Or you may want to be sure your “less popular” shifts are evenly distributed among the employees over the week. 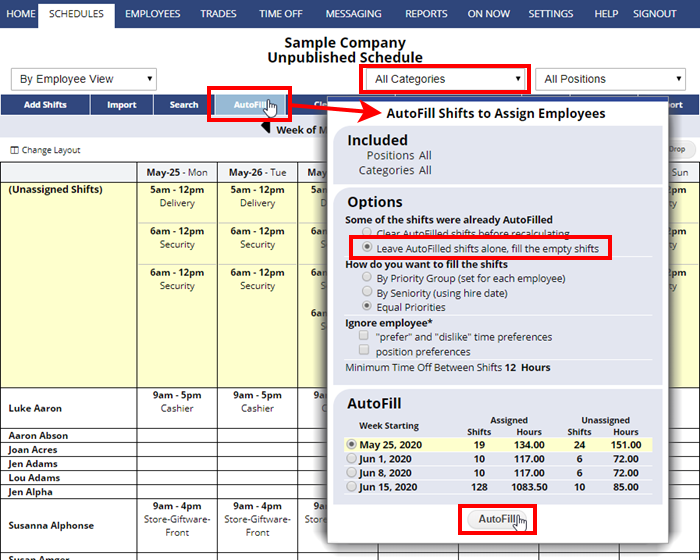 This can be accomplished by setting these special shifts to be in a Category and then AutoFilling that Category first before AutoFilling the rest of the schedule. 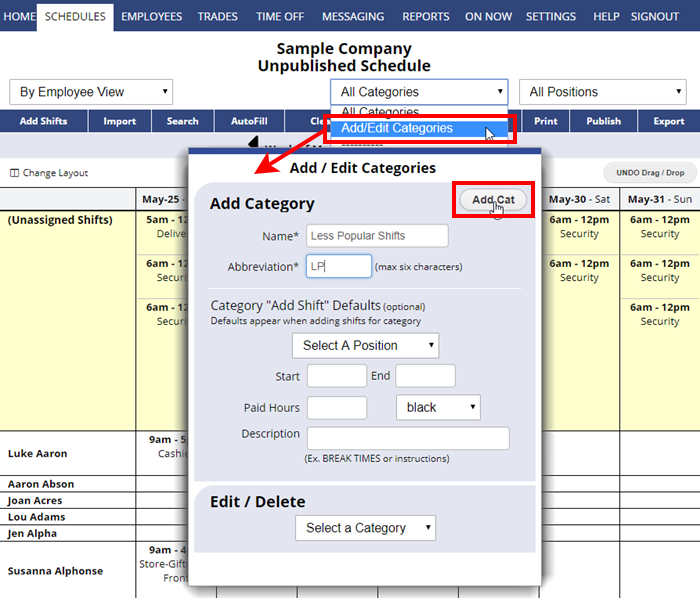 The first time you use Categories it may take longer because of the initial setup, but in future weeks, the Categories and shifts will already be set and all you will have to do is AutoFill. 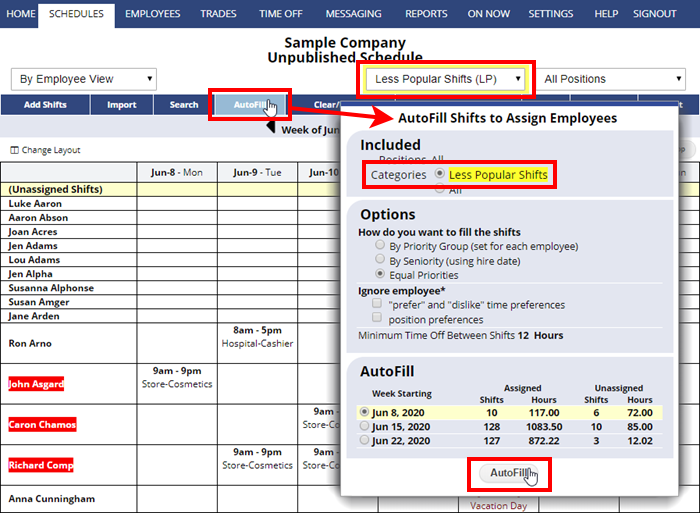 This first AutoFill of the one Category will distribute those shifts evenly among employees if possible. Example: I want to be sure my less popular shifts are evenly distributed between employees. 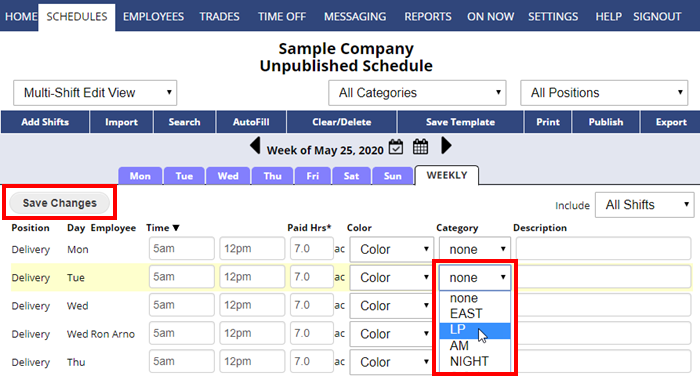 Note: When you Import into new weeks, be sure to Import the week where you have just set shifts to be in Categories (or you can save and name the week as a specifically named template). This way the shifts are already set to the proper Category when they are imported.